Telling time is a watch’s primary function. But if you’re an outdoor person and does camping and hiking from time to time, a conventional time-telling device won’t suffice. There are unprecedented things like being lost in a forest while trekking or foraging that can happen to anyone. You will need a dependable gear for something like this, and you can get most of them crammed in a survival watch. Read this article to learn more about the best survival watches and the things to be considered before you buy one. Why Do You Need A Survival Watch? How To Choose The Best Survival Watch? Some situations require you to stay concentrated and calm, no matter how perplexing they could be. These circumstances are like wandering away from the camp, answering nature’s call, or even finding food. Too much focus on one thing can get your attention away from the bigger picture, and one moment later, you realize that you can’t go back because you were preoccupied. There are inevitable times when you need to stay focused and must be able to assess the situation. What do you currently have with you that can help you? Apart from your intellect and experience, you also need a certain equipment that can aid you in any survival situation. Survival watches today tell you more aside from time. There are additional features like direction, temperature, altimeter, and barometer to name a few, which you can explore in a single, reliable survival watch. The attributes of a good watch include being technologically-advanced, robust, and useful under any weather. With survival watches, you are more mentally prepared and ready for unexpected situations. Listed below are some of the survival watches of premium quality that you can check out if they suit your preferences or if they can serve as a guide for you. As we already know, Casio is a renowned watch brand, and they have all types of watches for different purposes – fashion, military, business, etc. Products under this model include the black (GW9400-1), and the navy green (GW9400-3). 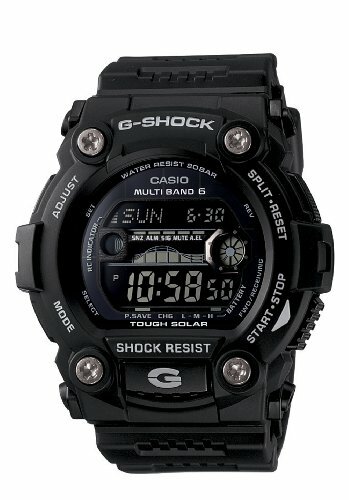 As this is a part of the G-Shock series by Casio, expect that this can resist mechanical shock and vibration. G-Shock watches are primarily made for sports enthusiasts, military men, and for outdoor hikers and campers. 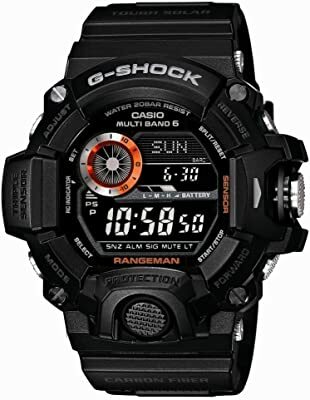 The Rangeman series is more improved than the previous Mudman or Riseman by Casio. 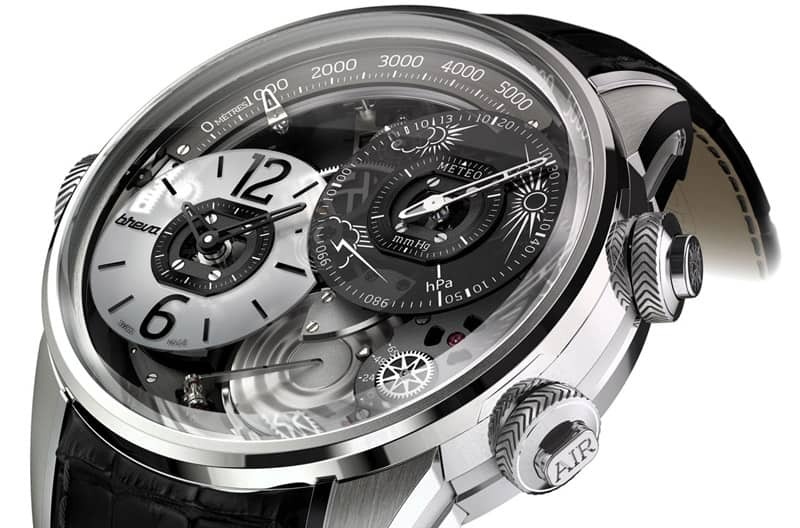 As this watch has a triple sensor, you can expect altimeter, barometer, and compass on its digital display. These sensors are accessible through a button with a metal cover. The buttons for this watch are made cylindrical to protect themselves from any strike. Other features include sunset/sunrise time settings, world clock, full-auto LED super illuminator backlight, stopwatch, and alarms that you can set up to five times. This Japanese quartz movement watch is solar-powered, so it demands little maintenance. Since Rangeman series has a “Multi-Band 6” indicated at the top, this means that the watch automatically calibrates through radio signal six times a day. An amazing feature of this watch is the manual receive function to verify its accuracy. This digital clock watch separates from the G-Shock series, but you can still always depend on this one as it’s designed for military and outdoor use. The exterior is very durable as it’s made of stainless steel. The watch moves with the Japanese quartz movement, but its battery can easily be charged through solar energy. The battery if fully charged and unexposed to sunlight can reach up to 6 months before it dies. Living up to its name (Pathfinder and Triple Sensor), special features include a thermometer, barometer, and altitude. Pathfinder stands for the digital compass that is highly accurate. 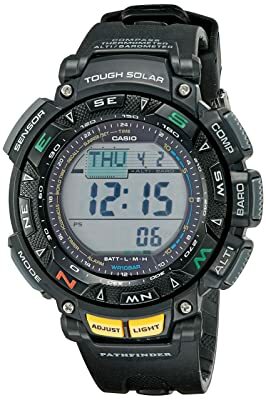 More add-ons for this Casio watch include a 1/100 stopwatch, auto calendar, timer, 12/24-hour formats, five alarms, and battery power indicator. 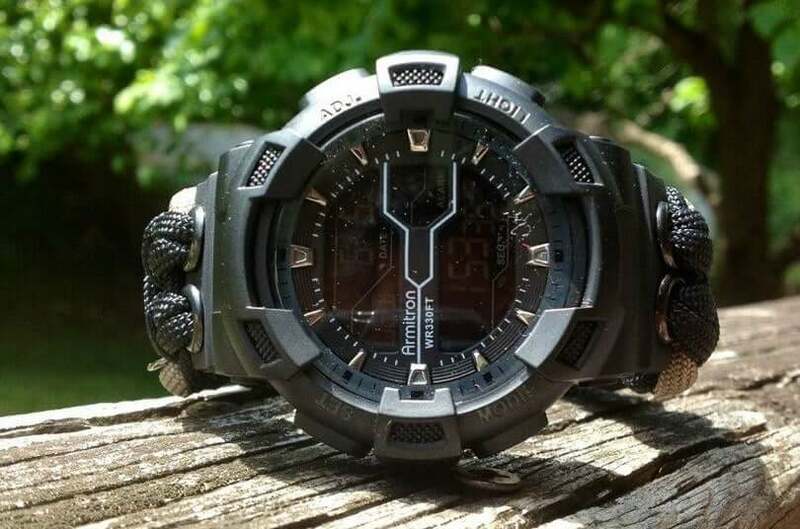 Another watch from the famous G-Shock series by Casio, the GW7900B is also a work of wonder. The whole watch is covered with durable black resin that is proven to be lasting. The watch is purely black and white, with the white being for the displayed words of the four main buttons. This Casio uses the Japanese quartz movement but is solar-powered. There’s no need for extensive battery maintenance because sunlight can always increase its life. If not exposed to the sun, the battery can last up to 9 months. Since this is a G-Shock watch, you can guarantee the watch can take natural abuse and harsh environments. 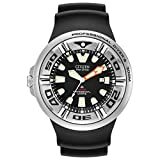 However, this product seems to lack lots of features as it doesn’t have a barometer, altimeter, compass and other functions which you can usually find on its competitors. The bright side is the price which is conveniently low. But you can enjoy some necessary features like the 1/100 stopwatch, calendars, and daily alarms with snooze functions. The label on the top “Multi-Band 6” means this watch can automatically calibrate to have the most accurate time reading thanks to radio signals. This system is done six times a day, and you can check its accuracy through the manual receiver. 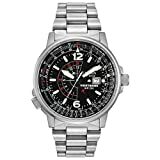 The disadvantage of this watch includes the following: absence of barometer, altimeter, compass, and thermometer among others. Camping outside or being in a survival predicament may prove to be tough with this kind of watch. 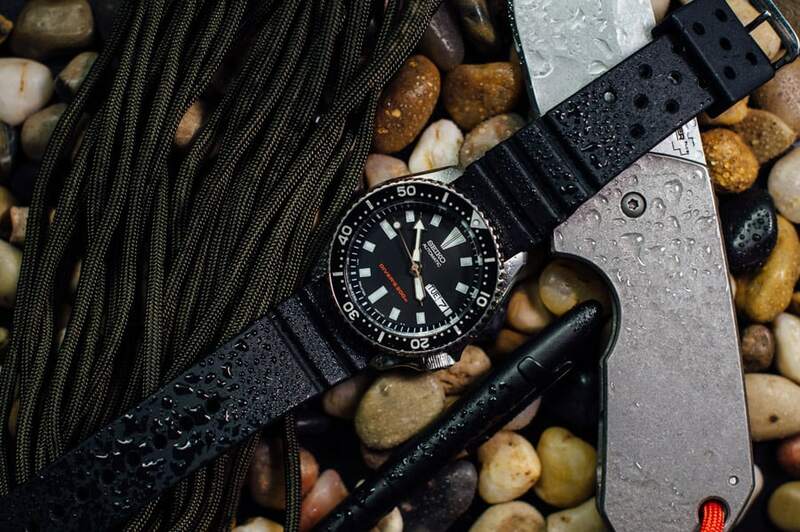 Its design is different from other survival watches featured in this article as the main casing down to the watch band are all made of stainless steel metal. In fact, this Nighthawk watch can be considered to be the top among the five when it comes to aesthetics. The time can be determined from the analog clock while the date is available at the three o’clock position. Furthermore, the mineral window is scratch-resistant. It might just be an ordinary clock at first glance, but if you look closer, it’s actually a bit more complicated. There are lots of markings with different values which are hard to distinguish unless you familiarize yourself with it. There’s a dual time dial and pilot’s slide-rule inner bezel ring. The latter tells you the calculations for the car’s fuel consumption, velocity, ratio into percentages, conversion of different units, etc. As for the battery, this watch’s hands move through the Japanese quartz movement, which is why it’s highly accurate. The battery is recharged through solar energy, so it would be nearly impossible to drain the battery unless you dwell in total darkness for consecutive months. At low light settings, you can still tell the time through the luminous markings that automatically glow in the absence of light. As for the features of Nighthawk, it is surely handy for travelers. It has a GMT function that allows you to set your preferred time zone of another location manually. It also notifies you when the battery gets critically low. The water resistance is impressive at 200 m but not suitable for scuba diving. The downside of this product involves the absence of survival features present in other watches. These include the barometer, altimeter, thermometer, compass, etc. If you are stuck deep in a forest, you will need a separate gear for navigation. 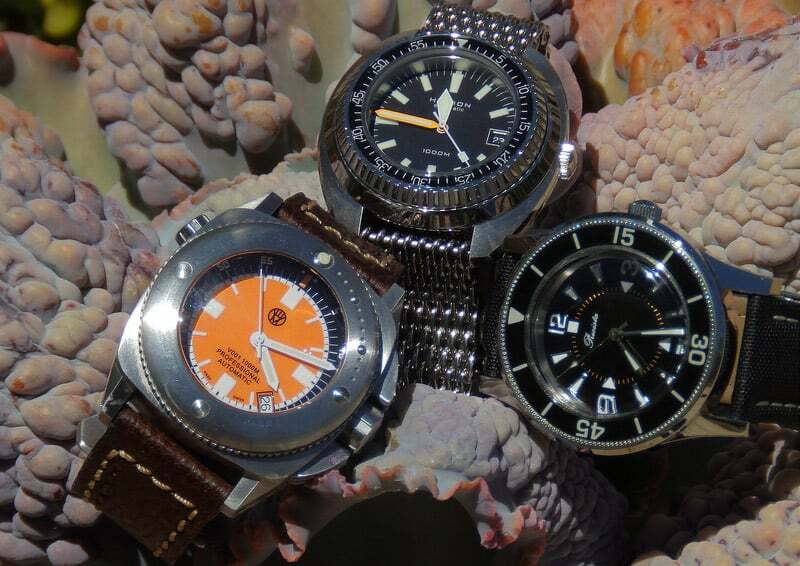 Unlike other watches in this article, this one is specially made for divers, hence the ‘diver’ in its name. Stainless steel consists the casing, and the crown is screwed shot so water won’t get inside; while the band is colored black and is made of rubber. The clock is analog, but there are no numbers as markings which makes this watch distinct and authentically unique. 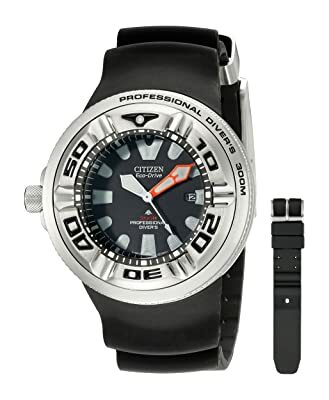 Instead of numbers, Citizen Eco-Drive used cylindrical and rectangular shapes. You can see the clock at night as it is luminous. Moreover, there’s also a rotating bezel with five markings from 10 to 50. This watch uses Eco-Drive Technology – you won’t need a battery replacement to power the clock up as it can utilize both natural and artificial light to increase the battery level. The hands move following the Japanese quartz movement. The water resistance is quite impressive at 300 m maximum; made with a diver’s mind indeed. Though there are lots of useful features, there are still functions missing for this watch, making it a little hard to rely on when you go camping or hiking. Innovation has paved the way for the birth of modern-day watches with more advanced features, and though watches vary in size and color, not all features listed below will be available on one, specific model. Of course, a watch’s number one function is to tell the time. There are people who no longer wear watches around their wrists but rely on smartphones instead. However, in a survival situation, a smartphone’s battery is easily spent up; this is where wrist watches come into the picture. Modern watches have alarm and timer functions that you can always take advantage. Some of them have special features like world clock or even dual clocks for two different time zones. This feature is primarily functional if you are on a hill or a mountainous range. 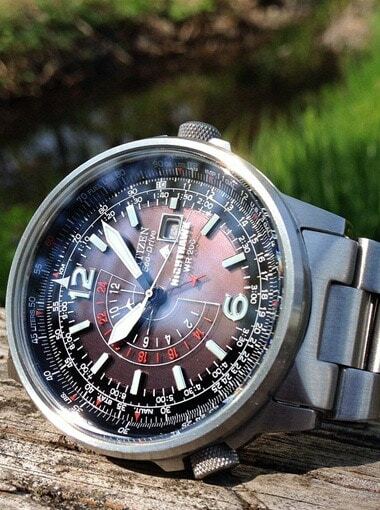 The altimeter’s function is to measure your altitude if you’re in an elevated area. You can know your exact location and get back to your camp as long as you have your topographical map with you. An altimeter is also more reliable than a GPS when it comes to measuring altitude, so having it in your survival watch comes very handy. In relation with navigating your way back, you also need a compass. The display of a compass on your survival watch can either be digital or the typical rotating needle. Though you can determine the direction you are facing with a bushcraft method that includes the angle of the tree’s shadow with the sun at the peak noon to determine True North, a compass will always be more accurate. It is an interesting feature as a barometer can help you be prepared when a storm is coming to your location. A barometer in your survival watch can measure atmospheric pressure as well as your altitude, just like an altimeter. When your measurement drops a couple of digits from the standard atmospheric pressure, it means the weather is changing for the worse. It also gives you the go-signal to prepare to catch some rainwater for you to drink when you’re in a terrible predicament. There are survival watches that have this feature wherein there are two separate analog clocks aside from the central clock. It is helpful to have this as they display the anticipated sunrise and sunset, very helpful when you need to find a good location to set up a camp in an unknown forest, and when to move out. Being in the wild, you need to track your body temperature, so you know that you need to get warm to avoid hypothermia. There are times at night that the body’s temperature can drop drastically especially if you don’t have a bonfire. There are also times that you don’t feel the temperature outside as you are sweating in foraging some firewood, and you don’t realize that you should stop because it’s getting colder than the usual. This feature is exclusive to watches that have a digital display. With GPS, you can read your current location and also track your current latitude and longitude. This is helpful as a backup even if you have the traditional compass and map with you. There are lots of factors to look at when buying a survival watch because there’s already a wide selection of them varying in specs, design, and style. Decide whether you want a digital clock or an analog clock. Both clocks have different add-ons from the features stated in the previous section. Since digital clocks are more advanced than conventional ones, they have more special features like GPS. They also have accurate time reading at 0.007 seconds, unlike analog clocks that can have a delay of at most 0.07 seconds. In relation to display, you also need to decide if you need a button-activated backlight or prefer an automatic instead. However, if you have your hands full with stuff, it would be a burden to push a button to check the built-in barometer, altimeter, thermometer, and the main time. A red backlight or a negative display will suffice in night visions. Next to decide on is whether you want it battery-powered, solar-powered or mechanically rigged. If you prefer this type, be prepared to have extra batteries as you can’t use your watch once it is empty. Moreover, you need to have a watch that doesn’t need special tools to open its base. Solar energy can also power these batteries. 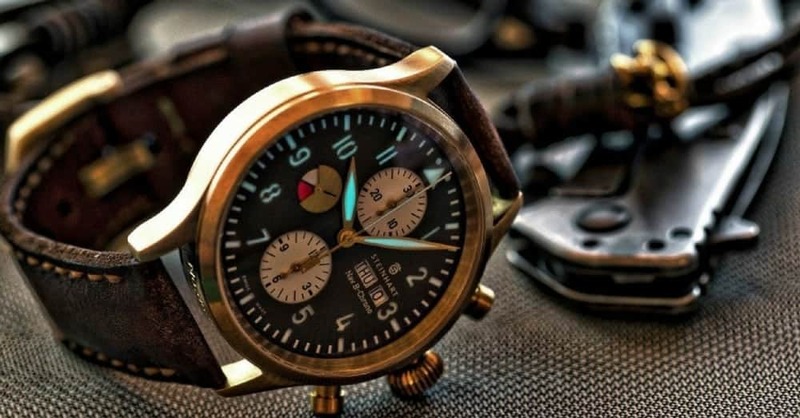 Solar-powered watches and mechanical watches are more apt in survival situations. Solar power for your watch is easily obtained, and you don’t need to make any effort to make you watch functioning as sunlight is always abundant at daytime. But for mechanical types, you will need to do some arm swinging or winding so that the mechanism inside of the watch can store energy to power it up. The accuracy for your time keeping, barometer, and altimeter depend if you’re watch is either digital or analog. Not only that but it also depends on the power type of the watch. For example, mechanical watches that need winding to charge may be short on the accuracy section because they are more sensitive to heat and shock than the quartz watches. The brand is also a deciding factor for accuracy. Go for watches that are known being accurate, and you won’t regret it. Since you spend lots of time outdoors, it’s a natural thing to have your survival watch durable and long-lasting. The material of the watch is the deciding factor. Would you have your watch made of silicon rubber, metal, or carbon fiber for the main casing? You also need to look out for the band. As long as you know the qualities that can make your watch take abuse without malfunctioning, you’re ready to go. These two qualities are different even though manufacturers entail them to be the same thing. If a watch is water-resistant, it can withstand being wet on the surface but if it’s submerged at a particular depth, the water might get in that could cause malfunctioning. Waterproof survival watches are more durable as they can be completely submerged in water like when you go swimming at an extended period of time without degradation on its function. Since you do physical work and can be subjected to intense sunlight or your watch may hit something hard, being heatproof and shockproof are important to be a good survival watch. With a lot of survival watches on sale, finding the appropriate design can be a handful. The selection would be more limited as you have to take the above factors into consideration. Nevertheless, pick a watch that you can use in fashion or in outdoor activities at the same time. Make sure that the color won’t fade as you will have it with you for a long time. Prices for survival watches vary depending on many factors and features. It’s up to you to choose the appropriate selection without going out of the budget as you can always find the same qualities in cheaper watches than those that are more expensive because of the brand. There are many things to consider when it comes to picking the best survival watches, and it could be challenging at first. But through this article, you can quickly narrow down options, filter some factors, and come up with the watch of your choice. Where can I get the watch that is pictured at the top? I hate that you click bait with a really nice watch and then dont include it in the lineup. Why can’t you offer info on women’s best survival watches? The Casio GW7900 has a widespread manufacturing defect for which Casio will not honor their already useless warranty. A bad batch of micro switches caused the auto light not to work on 1000’s of the GW7900 and several other models.